It has taken me a while, but i have finally gotten round to finishing using everything in this months CurleeBox. As you know, this another monthly subscription box which i signed up to last month. I was super impressed and watching in envy before hand. This months box was another one i am very happy with. It was actually as if they had read my mind, as just one week before my box arrived, someone asked me if i had used Aunt Jackies and i hadn't. This product is the reason that i have taken so long to do my review. I am a co-wash fan, its the perfect way to refresh hair if it has dried out too much or if you have used too much product. However. 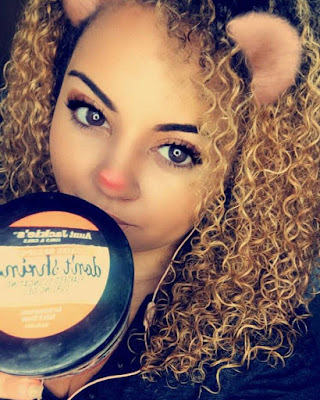 I watched a review by my curl crush Tayloranne on M.A.D Curls where they reviewed the flaxseed range, and she mentioned in the video that this doesn't feel much like a co-wash but it did clean her scalp. I then went to Afro hair and Beauty Live, and if you have read my blog post on that, i was told by one of the representatives that i needed to try the "shampoo" but was sold this co-wash. The fact that it was sold to me as a shampoo meant that i did not know if i wanted to use it as a co-wash in case it stripped my hair. I put the question to Instagram and got a lot of responses, the main one being that no, this product is not a co-wash. I used it today finally, but deep conditioned afterwards. I would agree with everyone that said this is NOT a co-wash at all. My hair did feel very stripped and it was not easy to finger detangle my hair at all, as a normal co-wash is. It didn't really leave me feeling very good about it. I had quite a lot of build up due to stretching out wash day and trying multiple products this week, and i where i feel like it has removed a lot of it, my scalp is on the itchier side since using it. Once i deep conditioned, my hair felt a lot better. To sum up, not a co-wash, definitely a shampoo. Would i buy this product? Well i currently have 2 now, so no. I think maybe once a month this would be fine to use again but not something i will reach for every wash day. "Nourishing therapy from head to toe. 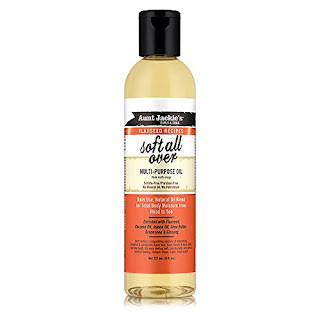 Aunt Jackie's multi-purpose oil is an excellent remedy to relieve dry scalp, hair, nails and skin." Strangely enough, this oil doesn't smell of anything to me. Some oils as soon as you smell them you can guess what's in them, this one is missing that for me. 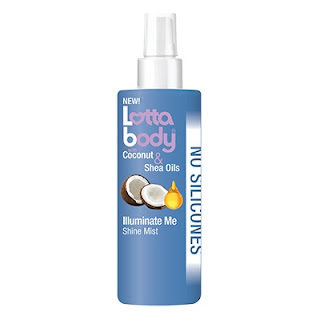 I have used it to scrunch out the crunch and i did find that it added shine to my hair and tamed any flyaway frizzes which i had during the drying process. I also used it to scalp massage, rubbing the access into my hands rather than washing it off, and even my sensitive skin didn't have a bad reaction to it. Would i buy this product? No. It was OK, but nothing special. 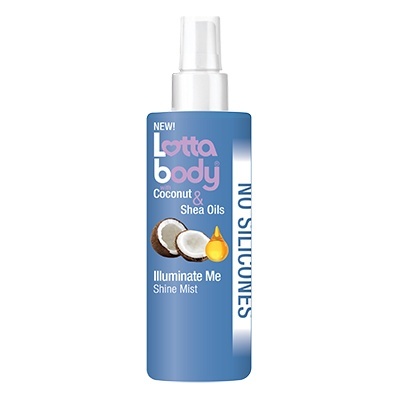 I have always been in love with the smell of Lottabody products. Made with Coconut and Shea Oils they smell amazing. I like that this oil is in a spray form also. It did add a really nice shine to my curls, and is light enough that i can use it daily. It also works on both dry and wet hair. The fact that it is in a small, lightweight bottle also means that it is perfect for fitting in your handbag. Would i purchase this product? Possibly, yes. I was happy with this product. I have saved this product until last for one reason. THIS.PRODUCT.IS.THE.BOMB! and it's a gel which i usually don't like. I held off using this one for a while, because i just don't like gels usually. After seeing Tayloranne use this in all of her hair, i decided to give it a go. I have seen a lot about flaxseed gels, and a lot of people making their own so i was interested in this product. I applied it to wet hair and was in love from the first use. It is a good job that this tub came with 20% extra. This clear gel left me with no flakes, no crisp to my curls, and shiny definition. It says elongating, and i did have some shrinkage, but definitely a lot less than usual. Would i buy this product? 100% yes! This is my new staple especially in the humid weather lately. My curls have been looking amazing. 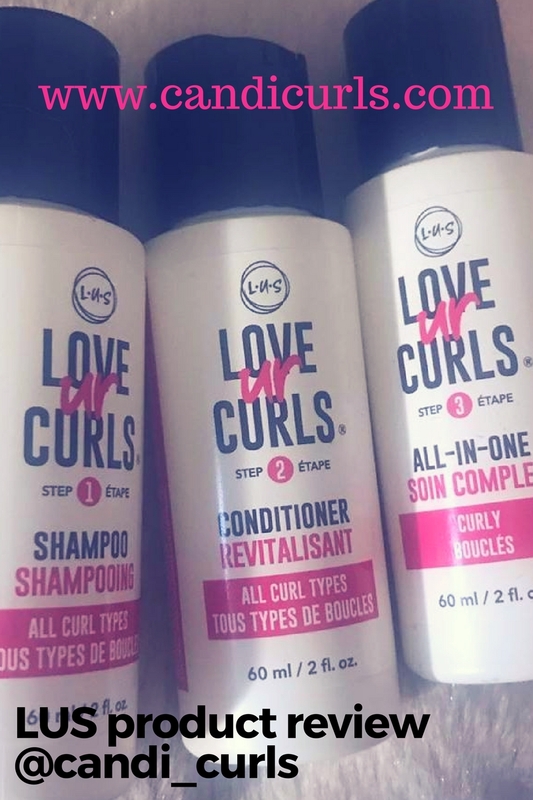 This product actually was the reason i hit the aunt Jackie stand at the Afro hair and beauty live, and i will be reviewing more products by them soon. This months box also came with some samples by Lottabody which i haven't gotten round to using yet (sorry). I was very excited to see Aunt Jackies in this months curleebox. Where i didn't enjoy all of the products in the box, i also found my new staple and was introduced to a brand i hadn't used yet, which for me is the whole point of being signed up to these boxes. 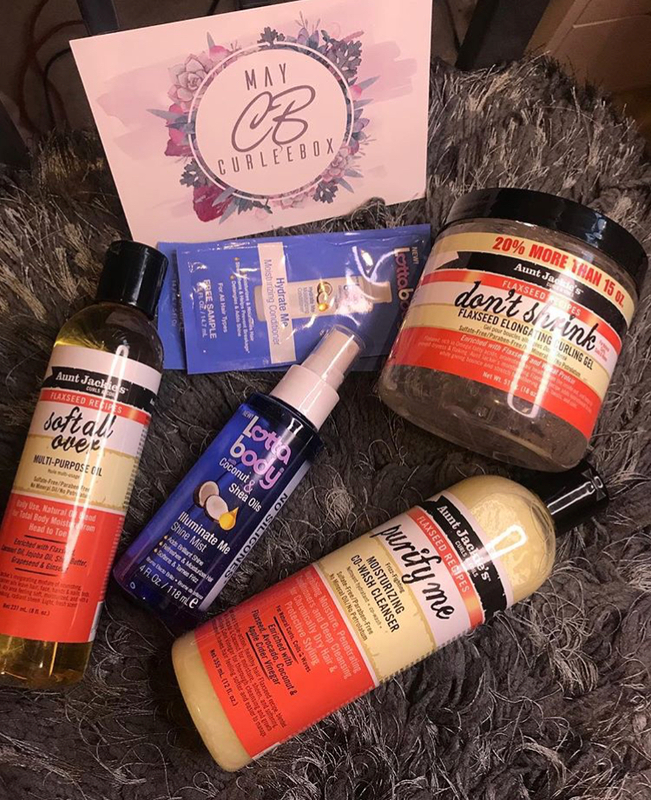 Remember you can sign up for Curleebox by clicking on www.curleebox.co.uk and subscribing for just £20 a month (+p&p) and be sent 4-5 full sized products direct to YOU doorstep. What better way to explore other brands and products without breaking the bank?